Does G‑d Need Our Awakening? 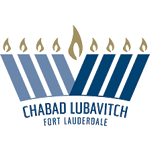 6 Tuesdays, beginning Feb 8th – Mar 15th 7:30 PM – 9:00 PM ♦ at Chabad ♦ Fee: $79. Couples Fee: $135 ♦ Textbook included. Life can be a treadmill – as we go through the motions day after day without ever asking why or seeking what really matters to us. This course is determined to change that. Here are strategies, tips, and suggestions for not only discovering where your true meaning lies, but in actually making it a part of your daily existence. These lessons will help you see life as the mysterious, challenging, and satisfying wonder that it really is. This 8-week crash course will take you through the Hebrew alphabet and vowels in a relaxed and enjoyable way. You will walk out with the ability to read Hebrew, whether it be prayers, the Torah, or Modern Hebrew. Explore the KABBALAH of THREE (three matzot) and FOUR (four cups of wine). 6 Tuesdays, beginning May 10th – Jun 14th 8:00 PM – 9:30 PM ♦ at Chabad ♦ Fee: $79. Couples Fee: $135 ♦ Textbook included. Anticipating the time to come. No fee. Does G‑d Need Our Awakening?